We are the Two Farmers, Sean and Mark. We began with the vision of making delicious hand-cooked crisps that celebrate the true flavours of Herefordshire, whilst protecting this wonderful countryside with a 100% compostable bag. We never could have imagined the response we have received so far and we’d like to take this opportunity to thank everyone who has, and continues, to support us on this incredible journey. 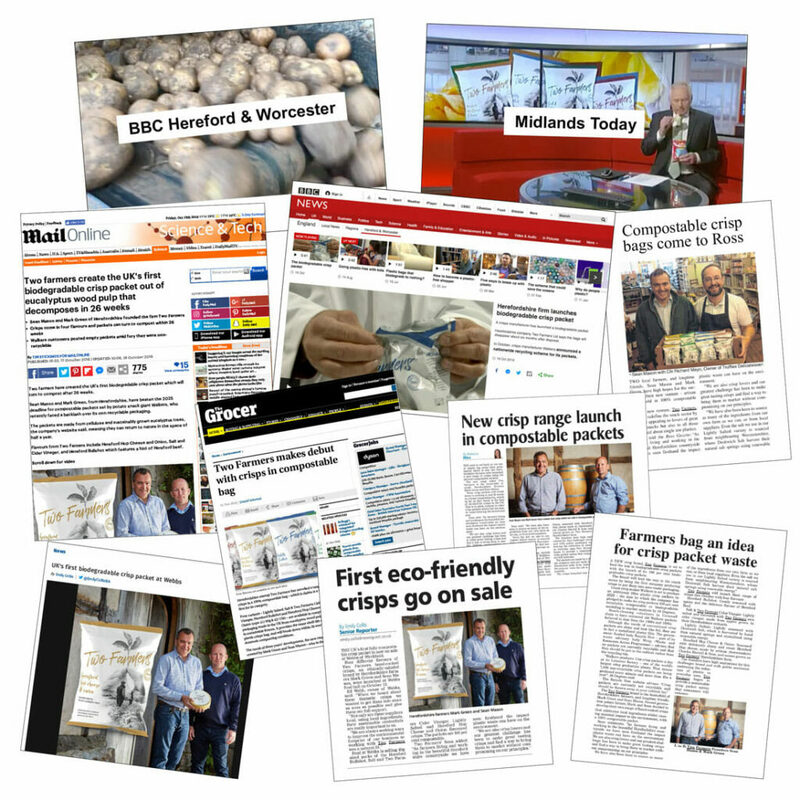 We are very grateful to have been featured in a number of regional and national publications, receiving great feedback and coverage on our crisps and passion for the environment. Despite photo shoots and interviews being all very new to us, we hope we’ve done Herefordshire proud!